Your Valentine’s Day just got a whole lot more romantic thanks to the official news that Prince is now available on Spotify and Apple Music. Whoo! That’s right, all of his albums can be streamed all day, and… all night. Ahem. 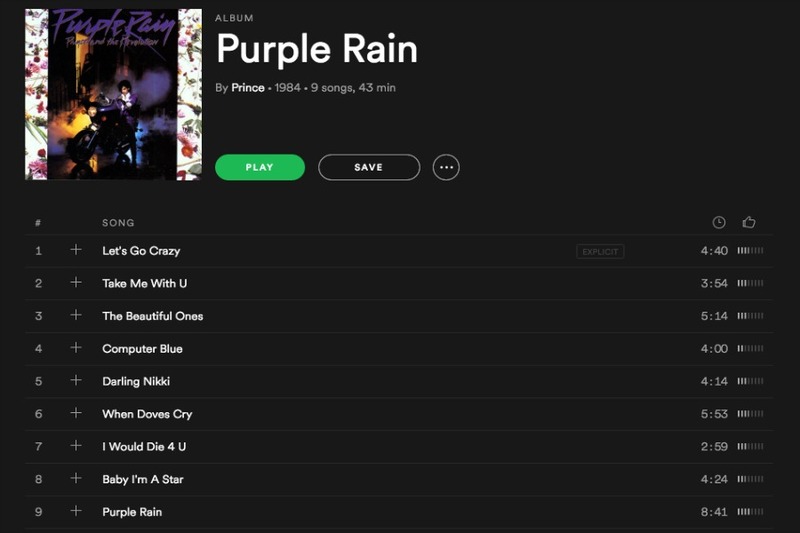 Start off with a little Purple Rain, and then, depending on how your evening goes (aka when the kids finally fall asleep after their day long sugar high), Get Off? We’ll let you take it from here. And if you need more romantic ideas for a date night at home, parents, we’ve got them in spades. Or should we say, hearts?